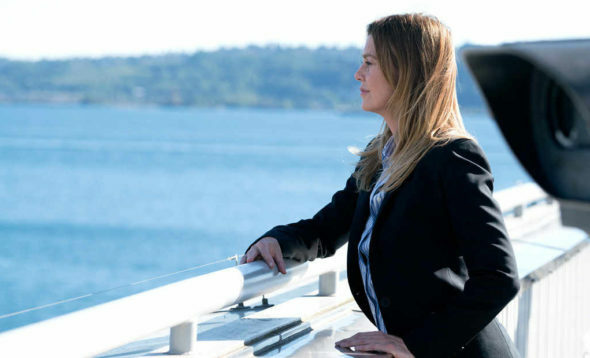 Do viewers have the patience for the storylines of season 14 of ABC’s Grey’s Anatomy TV show? We all know that the Nielsen ratings typically play a big role in determining whether a TV show like Grey’s Anatomy is cancelled or renewed for a 15th season. Unfortunately, most people aren’t part of that system. Because many viewers feel frustrated that their viewing habits and opinions aren’t being counted, we’re offering you a chance to rate the episodes here. Grey’s Anatomy features the talents of Ellen Pompeo, Justin Chambers, Chandra Wilson, James Pickens Jr., Kevin McKidd, Jessica Capshaw, Sarah Drew, Jesse Williams, Caterina Scorsone, Camilla Luddington, Kelly McCreary, Jason George, Martin Henderson, and Giacomo Gianniotti. Recurring players include Debbie Allen, Kim Raver, Abigail Spencer, Matthew Morrison, and Stefania Spampinato. The long-running ABC medical drama revolves around the personal and professional lives of the surgical residents, fellows, and attendings in the surgical wing of the fictional Grey-Sloan Memorial Hospital in Seattle, Washington. What do you think? Which season 14 episodes of the Grey’s Anatomy TV series do you rate as wonderful, terrible, or somewhere between? Do you plan to keep watching this ABC TV show? Don’t forget to vote, and share your thoughts, below. I have watched every episode of Gray’s Anatomy , I watch it on netflix and it has helped me during times of depression and anxiety / panic attacks . I’m able to focus and not worry about things I can’t change . So please , please do not cancel and make sure it get’s aired on netflix ‘ Thank You for making it possible to have a voice . Again , Thank You !